Now that we are quickly heading into fall, and I’ve finished my Shepherd sweater, I’ve been itching to cast on some fun new knitting projects. I’ve got several in mind, and I’d like to work something up for each of my girls, but until I decide what to pick for them, I’ve got another pair of socks started. The yarn is from last year’s Sock Club, in my favorite colorway, “Susan’s Stuffed Pumpkin”. 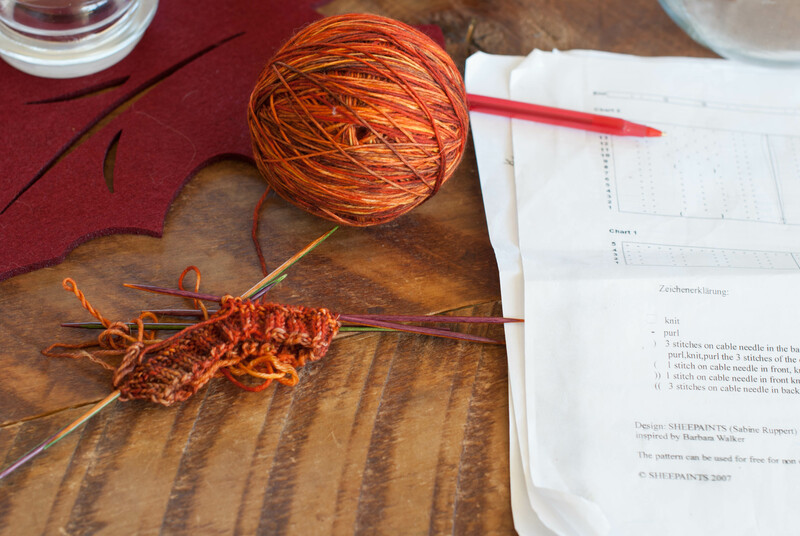 I’m knitting the “Little Pumpkins” pattern again, just because it seemed so fitting! The socks will be my portable project, and something I can work on when I need something easy and a bit mindless (since I’ve done them before I can kind of knit this pattern on autopilot). My more ambitious next project is the new Shepherd Sweater (but of course!) from Pam Wynne. I am SO looking forward to casting it on! Along with all this knitting I’ve been baking like a madperson. I am just so ready for fall and all of its yummy treats. 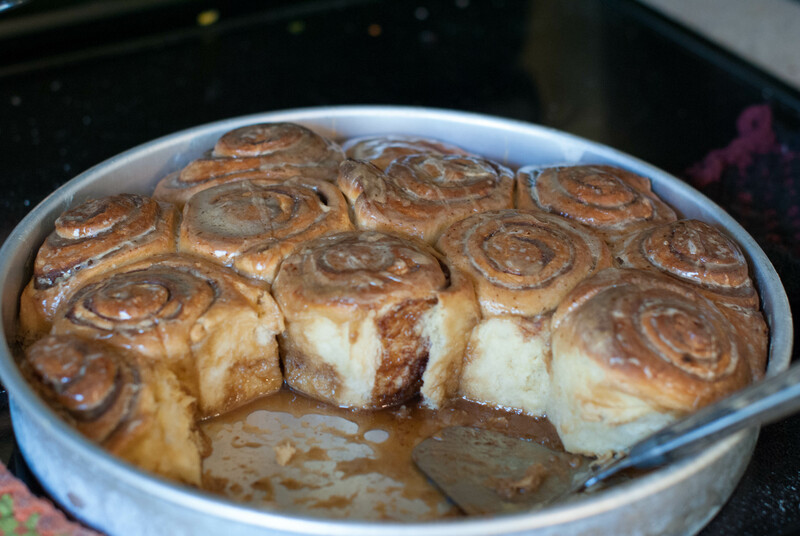 One recipe I’m excited about is Susan’s Best Cinnamon Rolls Ever from By Hand Magazine. I’ve made them several times now and I CAN’T. GET. ENOUGH. The great thing about this recipe is that not only is it luxuriously delicious, it is super straight-forward and easy to make. AND you can freeze them and them bake when you’re ready. This entry was posted in Uncategorized and tagged food, Knitting. Bookmark the permalink. YEAH NEXT SHEPHERD! I didn’t get one of the 2nd generation Shepherd kits and I’m still kinda sad about that. Yours will be super fantastic 🙂 🙂 Also those cinnamon buns look perfect! !